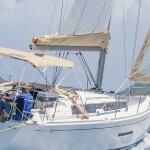 $2,850 per week Low Season: 1st May - 9th July and 6th Nov - 15th Dec.
$3,400 per week Mid Season: 2nd Jan - 31st Jan and 1st April - 30th April. 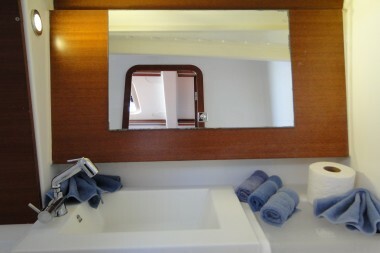 $4,000 per week High Season: 16th Dec - 1st Jan and 1st Feb - 31st March. 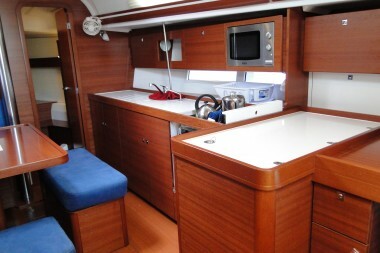 Dufour 380, Brand new, 2013, solid cruising platform with all the true comfort features of a big boat. 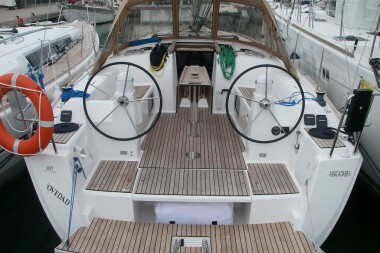 The Dufour 380 has it all in a compact and easy to handle package that looks fantastic and begs to be sailed. 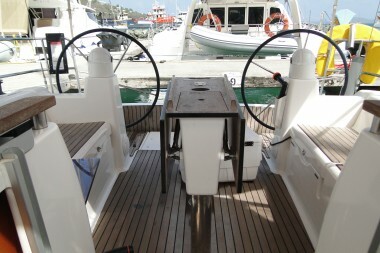 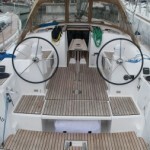 Twin wheels with sheets led to the helm station give the skipper complete control of this well balanced and highly responsive yacht. 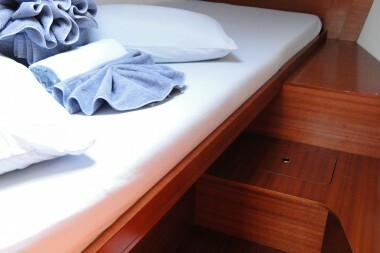 Enjoy all the comforts of home in the well appointed cabin. 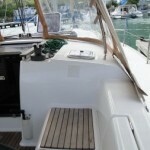 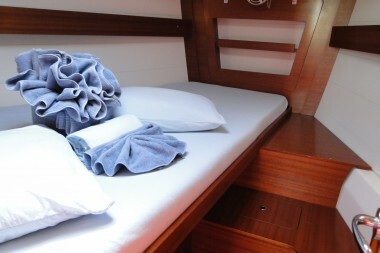 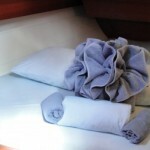 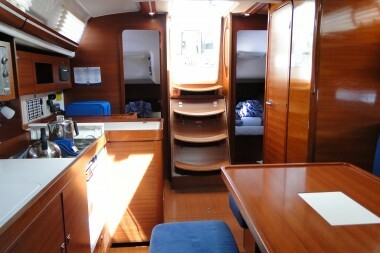 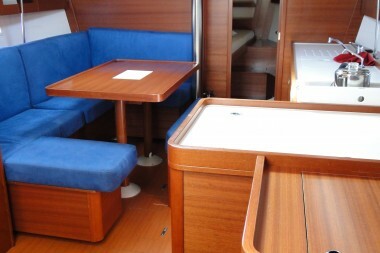 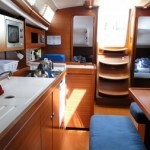 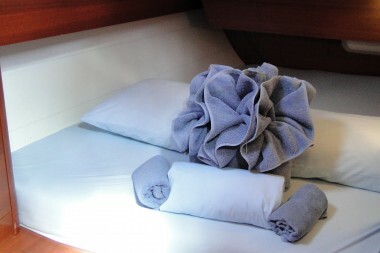 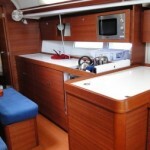 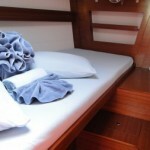 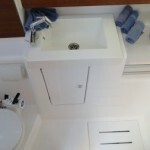 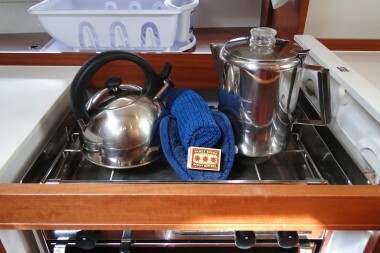 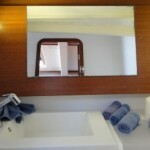 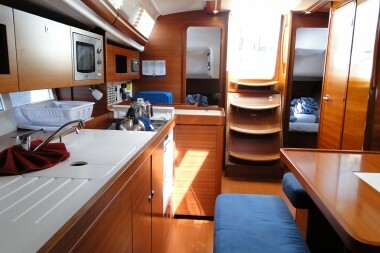 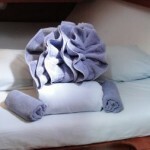 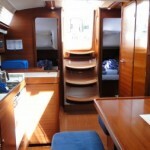 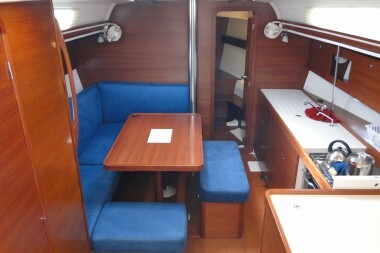 A complete galley, real nav station and beautiful dinette area can accomodate a full crew. 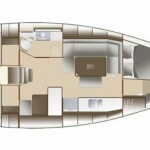 For a virtual tour of the new Dufour 380 CLICK HERE. 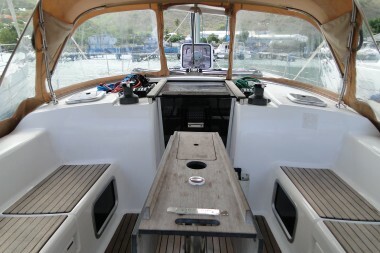 This virtual tour is provided by Dufour, and does not depict Abacadabra herself. 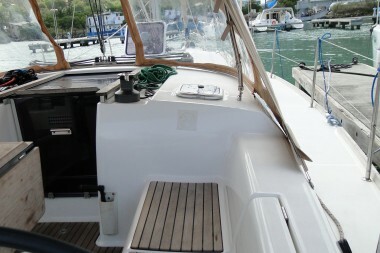 As soon as you put it to sea, what strikes you above anything else is the cleverness with which the spaces are organized and complement each other to offer purity and practicality. 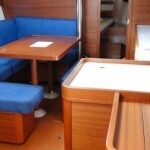 The spaces work together in such a way that moving around on board is a dream. 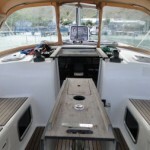 Even below decks, the lines and curves encourage generous sizing of the volumes and optimization of the light. 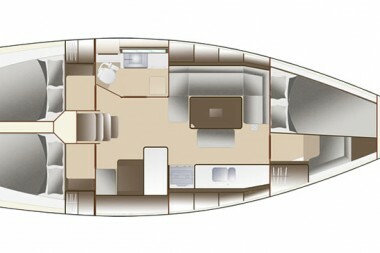 A dream yacht. 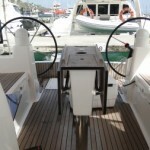 The combination of design and practicality is an art that not many people master. 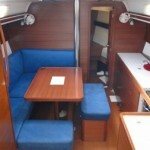 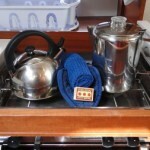 The cleverness of its fitting out offers a quality of life where comfort is king. 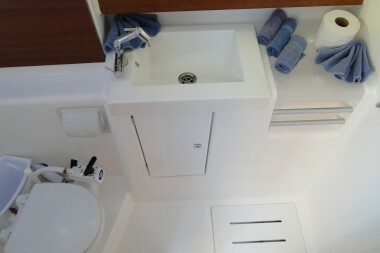 The comfort of functionality, for everything has been thought out down to the tiniest detail, but also comfort for the eye, thanks to its explicit desire to unveil design stamped with modernity. 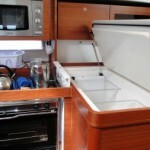 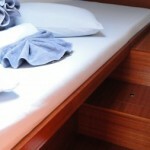 A galley in Corian, an abundance of fine woods, internal ventilation… you won’t ever want to leave! 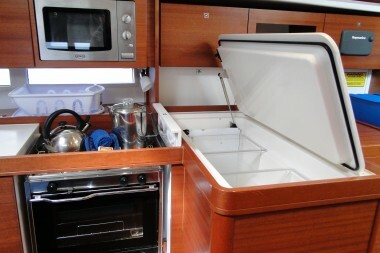 Forward, the owner’s cabin on the Dufour 380 confirms your status and makes for easy access to the stowage and technical areas. 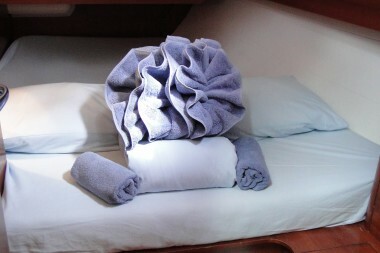 In the three-cabin version, a stroke of genius has made it possible to maintain the essential convenience of the head, while still keeping a separate shower. 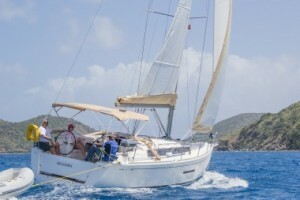 This is Dufour at its best!